Dr. Steinbrech is a fully-trained Plastic Surgeon, Board Certified by the American Board of Plastic Surgeons under the American Board of Medical Specialties. Dr. Steinbrech specializes in Minimally Invasive Aesthetics. He incorporates this philosophy into all of his surgical and non-surgical techniques. 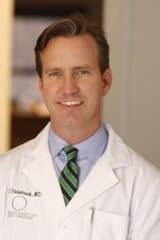 He has been selected as one of America’s Top Plastic Surgeons by the Consumers’ Research Council of America Surgical Training: Dr. Steinbrech underwent eight years of surgical training at New York University in General Surgery and Plastic and Reconstructive surgery. He was trained in Plastic and Reconstructive Surgery at the prestigious NYU Institute of Plastic and Reconstructive Surgery. This included training at Manhattan Eye, Ear and Throat Hospital by the icons of the latter part of the 20th century including mentors McCarthy, Aston, Baker, Tabbal, and Pittman. No stranger to the media, Dr. Steinbrech has appeared in many newspapers and news outlets, including an article about tummy tucks in the New York Times. Dr. Steinbrech has done extensive research, being lead author in ten peer-reviewed publications as well as co-author in over forty others. He has presented his research nationally at conferences including: The American College of Surgeons, The American Society of Plastic Surgeons, The Plastic Surgery Research Council, The Northeastern Society of Plastic Surgeons, the New York Hand Association, The American Cleft Association, The New York Society of Plastic Surgeons, and the Association of Academic Surgeons. He has been awarded grants from the Howard Hughes Medical Institute and the Plastic Surgery Educational Foundation. Dr. Steinbrech’s clinical appointments include Manhattan Eye, Ear and Throat Hospital, New York University Downtown Hospital, and Lenox Hill Hospital. Dr. Steinbrech feels very strongly about the education of the next generation of Plastic Surgeons, continuing to instruct the NYU Plastic and Reconstructive Surgery Residents at Bellevue Hospital and the Manhattan Eye Ear and Throat Hospital Fellows. Northeastern Society of Plastic Surgeons, New York Regional Society of Plastic Surgeons, American Board of Plastic Surgery under the American Board of Medical Subspecialties, American Medical Association, New York County Medical Society, New York Society of Plastic Surgeons, New York State Medical Society.